Tech Wash leaves no detergent residue, so it won't degrade DWR finishes. Safe for waterproof-breathable fabrics including GORE-TEX® and eVent®. Use in either top-loading or front-loading washing machines, or pre-treat stains with a small amount of Tech Wash on a sponge. 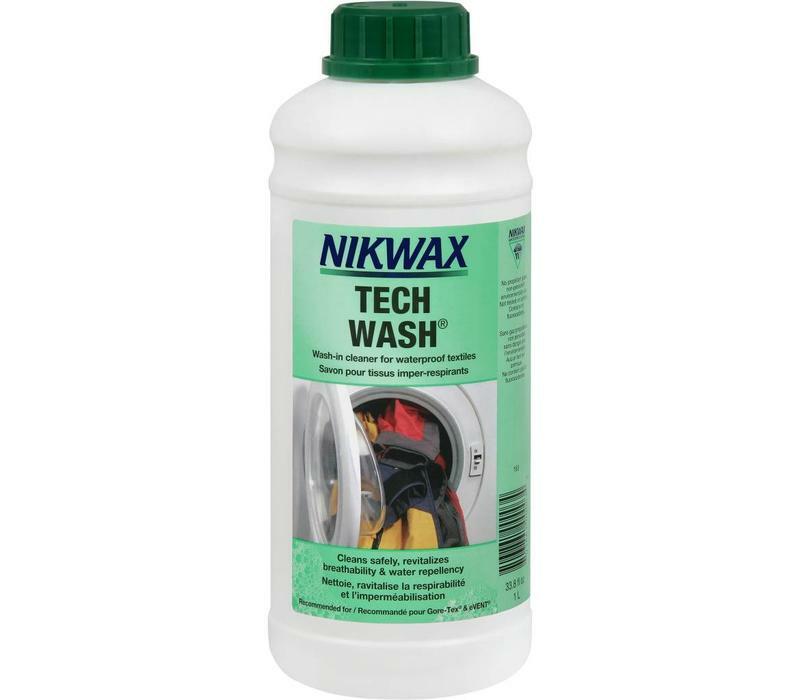 For top-loading machines, use 150ml of Tech Wash for up to 3 garments and 250ml for 4-6 garments. 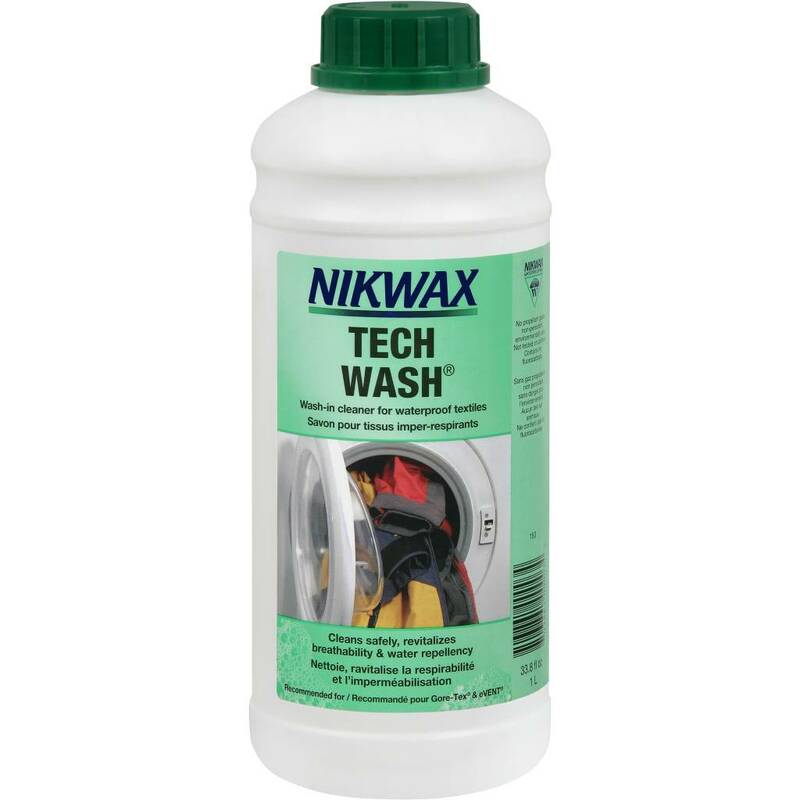 For front-loading machines use 100ml of Tech Wash for up to 2 garments.